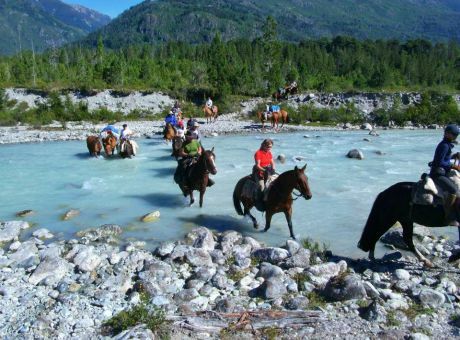 Why choose Horse Riding Holidays in Argentina? Argentina is one of the horsiest nations in South America. 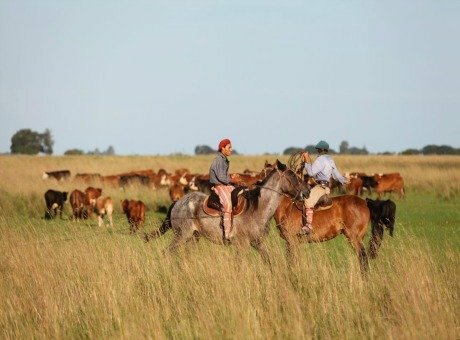 It is famous for producing the world’s best polo players, but apart from that, horses and “gauchos” (Argentina’s cowboys) are indigenous to rural life and ranches (or “estancias”, as they are called in Spanish). We absolutely love Argentina for its top class polo facilities which better than anywhere we’ve seen in the world, and equally for the gorgeous homely colonial estancias laced in antiques and offering incredible hospitality, Argentinian joie de vivre and outstanding horse riding. For adventurous types, there are some incredible trail/expedition type rides such as riding over the Andes to Chile, or moving at a pace from estancia to estancia. Last time I did an estancia to estancia ride, I really began to feel like I was an intrepid traveller in a movie from colonial times! 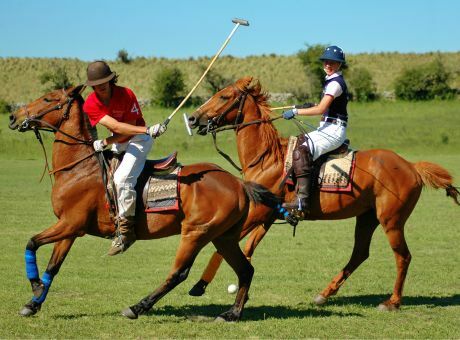 Horse riding holidays in Argentina are not complete without a friendly game of polo, so we really recommend you do participate, as it is so much fun. 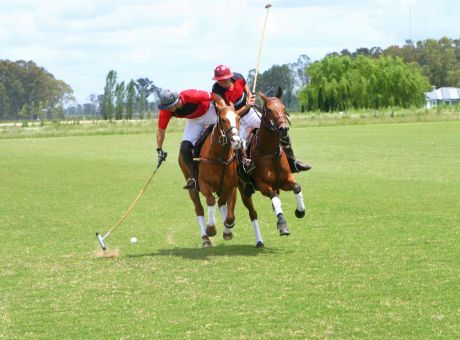 Most of the estancias we use for our horse riding holidays in Argentina have a small string of polo ponies, and for the super keen, we can offer you clubs with world class training facilities. 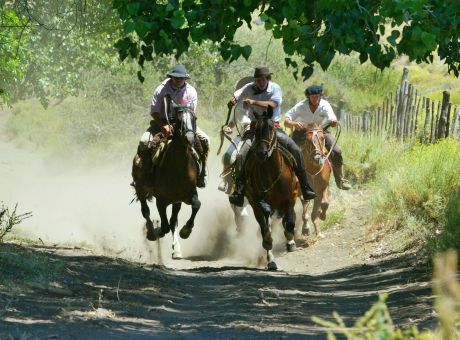 We also recommend you consider adding on some visits to your horse riding holiday in Argentina if time allows, as this wonderful country has so much to offer. There is Buenos Aires with its faded grandeur and ladies literally doing the tango in the streets amongst the market sellers. A visit to Eva Peron’s grave is a must too. Then, heading north to Puerto Iquazu, a visit and boat ride to the magnificent Iguazu Falls is stupendous and can be combined with a visit to the rainforest. Argentina is of course famous for its beef and wine so non-vegetarians and wine lovers are going to be in heaven during their horse riding holiday there. Some of our ranches have their own vineyard on site and all our ranches produce their own beef. It is true what they say – it is the best steak in the world! 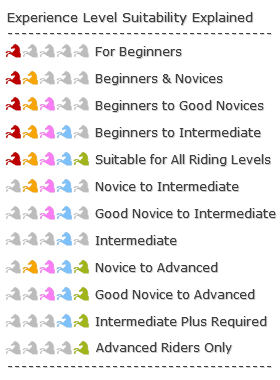 With so much to offer in Argentina I recommend you have a look at our website but also contact Jill or I for ideas on Horse Riding Holidays in Argentina as we often tailor make special holidays for our guests after listening to what they really want to experience. We look forward to hearing from you.